Dr. Patel is double-boarded in Neurology with Special Qualification in Clinical Neurology and Clinical Neurophysiology. Dr. Patel completed her undergraduate degree at Duke University and then received her MD from Rush University Medical College in Chicago. She completed residency training at Rush University and Northwestern University in Chicago and then completed her fellowship in Clinical Neurophysiology at Ohio State University. Her clinical interests include epilepsy, traumatic brain injury, concussion (mTBI), headache, ADHD, anxiety, and neurodevelopmental disability. Her research interests are epilepsy, headaches and the use of mindfulness and meditation in individuals to improve their neurologic health. On a personal note. 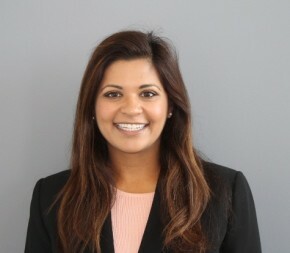 Dr. Patel is an avid traveler having traveled to 6 continents and enjoys snowboarding, tennis, scuba-diving and surfing. She is also currently working on a book about mindfulness and meditation and the neurological effects on brain development.